The first description of acute respiratory distress syndrome (ARDS) was probably by Laennec in 1821 who described pulmonary edema without heart failure in "A Treatise on Diseases of the Chest". In the 1960s, since acute, diffuse and dense bilateral infiltrates were almost never observed except in patients requiring prolonged mechanical ventilation, the condition gained the term "respirator lung". It was only in 1967 that Ashbaugh and his colleagues first described the clinical entity that they called "acute respiratory distress in adults". ARDS was recognized as a group of pathophysiological abnormalities common in patients whose lungs sustained injury by a wide variety of unrelated insults-for example, gastric aspiration, sepsis, blunt trauma, near-drowning, etc. Clinically, acute lung failure is characterized by respiratory insufficiency with severe hypoxemia or hypercapnia. ARDS technically is defined as a significant inflammatory response to a local (pulmonary) or remote (systemic) insult which results in hypoxemia and marked alterations to pulmonary mechanics. By definition four clinical criteria must be met to establish a diagnosis of ARDS: 1) Acute disease onset, 2) bilateral pulmonary infiltrates on chest X-ray, 3) pulmonary capillary wedge pressure <18mmHg or absence of clinical evidence of left atrial hypertension and 4) ratio between arterial oxygen partial pressure (PaO 2 ) and the fraction of inspired oxygen (FiO 2 ) <200. 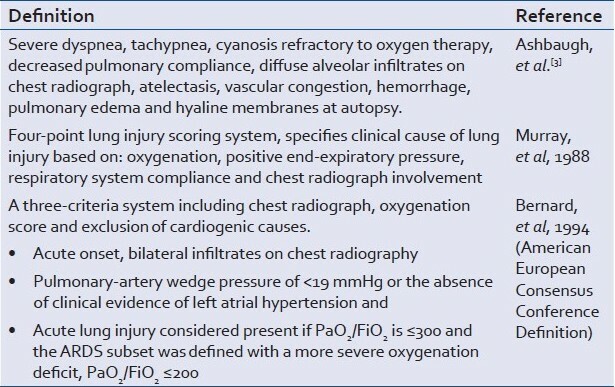 Patients that meet criteria 1-3, but exhibit a PaO 2 /FiO 2 ratio >200 and <300 are defined as having acute lung injury (ALI), a process physiopathologically similar to ARDS but of lesser clinical severity. [Table 1] presents the three most commonly used definitions. The use of prone positioning has thus far proven inconclusive pending further studies to establish the optimal ventilatory setting to be selected before, during and after positioning; to determine the duration and frequency of positioning; and to standardize the maneuver . Studies involving tidal volume have had severe limitations with regard to the statistical power needed to detect a difference. However, Amato et al,  was able to show a survival benefit from the use of smaller tidal volumes (6 ml/kg actual body weight) in conjunction with other strategies designed to protect the lung such as lung recruitment maneuvers. It has been postulated that the lack of adequate functional surfactant makes reinflation very difficult, requiring high airway pressures. Thus in established ARDS, PEEP has been adopted for routine management to recruit, reduce oxygen requirements and improve compliance. Further, by keeping alveoli open throughout the respiratory cycle, damage produced by the repetitive opening and closing may be prevented. Fluid management has assumed greater importance in the management of ARDS as under conditions of microvascular injury, lung water accumulates to a greater degree compared with normal lung at the same microvascular pressures. 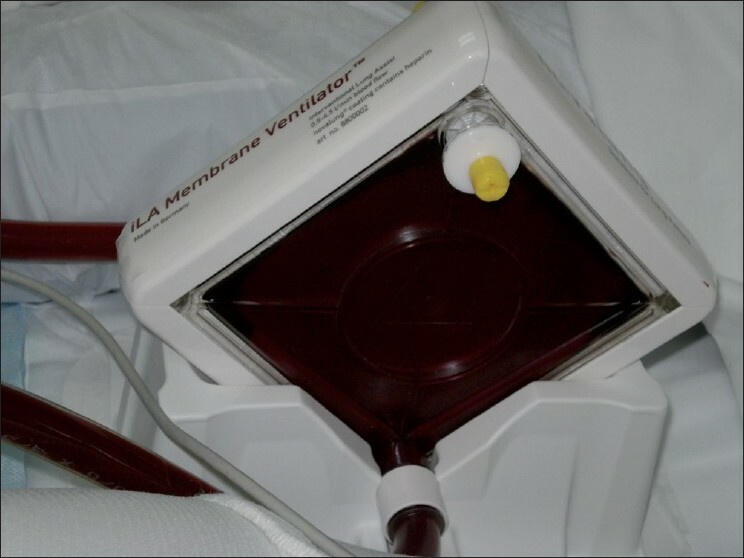 Two other non-pharmacological interventions that have gained greater prominence in the treatment of ARDS as a result of Severe Acute Respiratory Syndrome and H1N1 have been the use of extracorporeal membrane oxygenation (ECMO) and pumpless extracorporeal lung assist (PECLA) which is the focus of this review. These modalities facilitate oxygenation and carbon dioxide (CO 2 ) removal without the harm associated with aggressive mechanical ventilation. 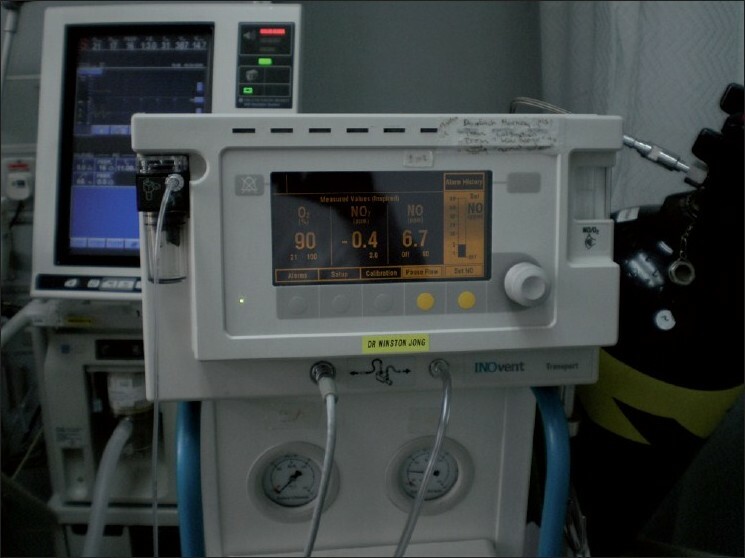 ECMO is a technique for providing life support for patients experiencing both pulmonary and cardiac failure by maintaining oxygenation and perfusion via oxygenators until native organ function is restored. [Figure 2],[Figure 3],[Figure 4],[Figure 5],[Figure 6]. 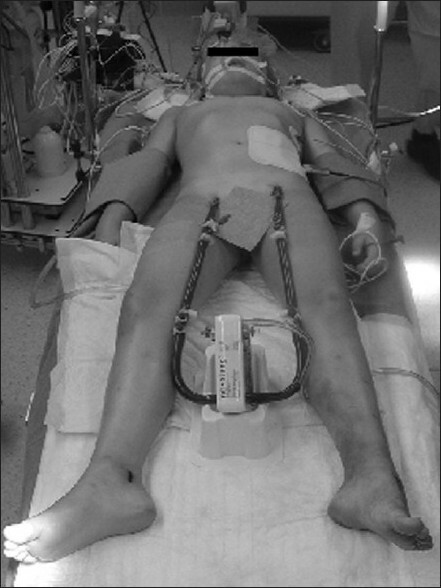 In 1972, Hill et al, first reported the use of ECMO in a young pa tient who suffered from ARDS after trauma. A milestone in the technical evolution of cardiopulmonary bypass and ECMO was the development of membrane oxygenators instead of bubble oxygenators in the 1960s, leading to increased short- and long-term biocompatibility. Bartlett and colleagues reported the first case series of 28 patients (14 children, 14 adults) who were treated with ECMO in 1977. 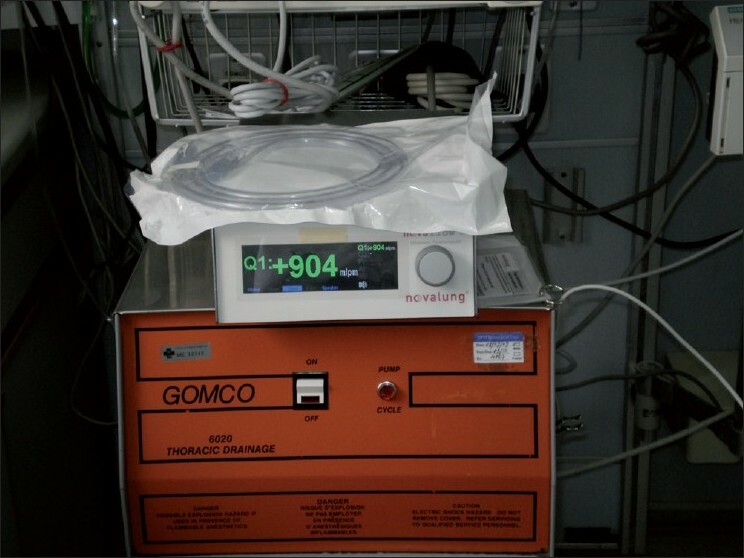 Although only five of 28 patients were long-term survivors, the early successes in near-moribund patients led to the first randomized trials of ECMO therapy for respiratory failure in neonates. The first of these trials used a non-traditional "play-the-winner" randomization technique, where the chance of assigning an infant to a treatment was influenced by the outcome of previous patients in the study. All 11 high-risk patients who were treated with ECMO survived (although 1 patient had a cerebral hemorrhage), while the single patient who received conventional therapy died. For newborns with severe respiratory failure, a prospective, randomized study clearly demonstrated that ECMO improved clinical outcome and is cost-effective compared with conservative therapy. However, in 1979 a randomized controlled trial using ECMO in ARDS were published showing mortality rates of more then 90% in both the ECMO and conventional ventilation arms. Proponents of ECMO argued that this NIH-sponsored study had several problems. 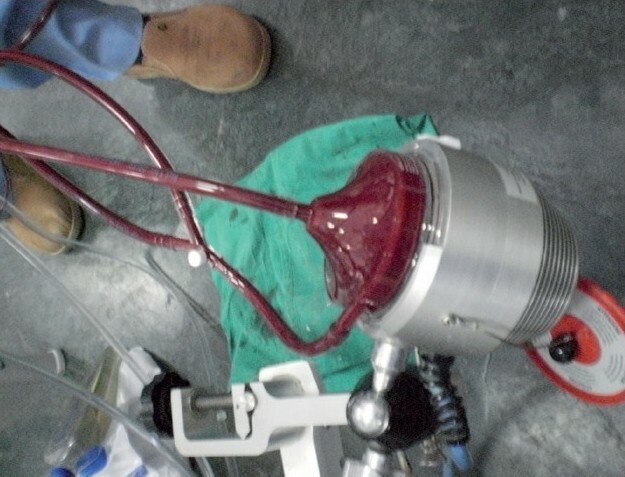 A veno-arterial (VA) perfusion with reduced pulmonary blood flow, no adjustment of mechanical ventilation to protect the lungs after starting ECMO, high-dose heparinization with a daily blood loss of 2.5 L and termination of ECMO after 5 days regardless of lung function are possible reasons for the disappointing results in this trial. It was Gattinoni and co-workers  who were the first to introduce the use of extracorporeal CO2 removal (ECCO 2 R) to support protective ventilation strategies. 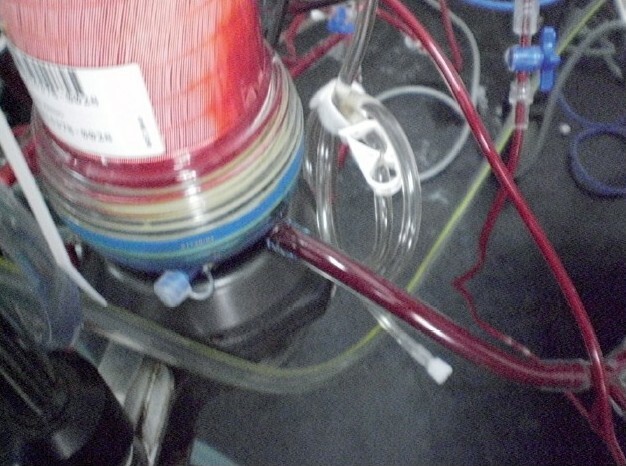 They developed an alternative approach: a veno-venous (VV) perfusion route and a blood flow of only 20-30% of cardiac output combined with low-frequency mechanical ventilation and additional oxygen insufflations, known as ECCO 2 R. He believed keeping the activated clotting time (ACT) low and using heparin-bonded tubing to minimize heparin use were important features in reducing the morbidity associated with the technique. In 43 patients with severe ARDS according to the same entry criteria as used in the first ECMO study were treated with ECCO 2 R, demonstrating a 51.2% mortality rate. However, once again a randomized controlled trial in 1994 failed to show a survival benefit in ARDS patients treated with ECCO 2 R.  Shortfalls in this trial included the fact that only 40 patients were in the trial as against the ARDS Network trial on low tidal volumes which recruited >800 patients. Setbacks also included the technical devices used which were not sufficiently developed and therefore prone to complications, such as thrombosis, hemorrhage and infections. In addition, protective ventilation strategies differed substantially from what is being used today. Gattinoni et al, used a ventilatory concept based on low breathing frequencies and high tidal volumes. Today it has been shown that low tidal volumes and airway pressure gradients are the key determinants of a protective ventilatory strategy. ECMO can be instituted via the VA or VV route. Both require the use of a pump to generate flow rates of 3-5 L/min to ensure sufficient organ perfusion and oxygenation, respectively. For respiratory failure, VV cannulation (usually via the femoral vein and internal jugular vein) is preferred. Since there is no arterial cannulation in VV ECMO, this eliminates complications secondary to arterial embolic events. This is significant since strokes represent a leading cause of mortality in adult ECMO patients, occurring in up to 10% of patients receiving VA cannulation. After a patient is placed on ECMO, protective ventilation strategies are used to minimize further ventilator-induced lung injury while the lungs recover. 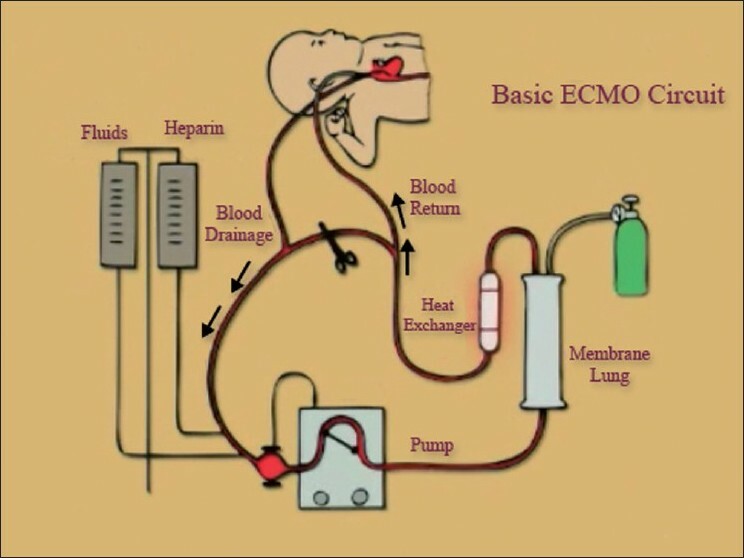 ECMO is an intensive therapy with a learning curve in its application and its practice is best suited to centers where the expertise exists in daily management. For this reason, regionalization is appropriate to ensure that adequate volumes are present at each ECMO center. Currently, ECMO is a routine procedure with a 35-year experience, usually carried out in patients with severe ARDS as a rescue therapy. 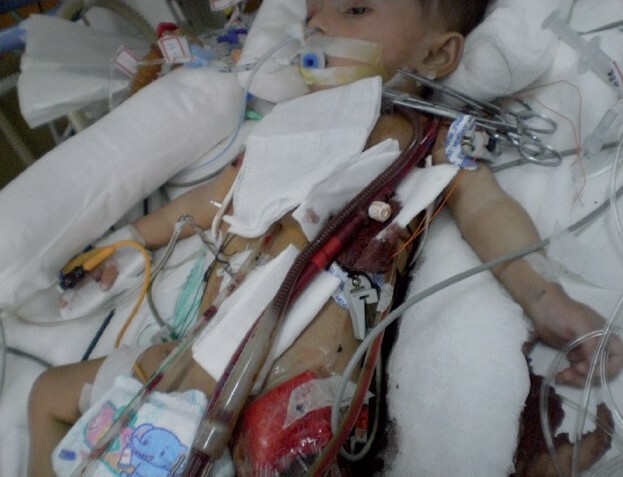 Unfortunately, ECMO therapy often has to be restricted with regard to support duration for its negative side effects, such as hemolysis, coagulation disorders and technical complications. The main component of the PECLA is a membrane oxygenator (iLA Membrane Ventilator, Novalung GmbH) with a low resistance (of approximately 15 mmHg at 2.5 L/min blood flow) between inflow and outflow. The diffusion membrane of the oxygenator is manufactured of poly-4-methyl-1-penten which allows long-term application and has a surface of 1.3 m 2 to which an oxygen flow of 1-12 L/min can be administered. The system is primed with 250-300ml of Ringer's lactate solution. The PECLA system as well as the tubing is coated with high molecular-weight heparin, which allows minimizing anticoagulation and surveillance of it with the ACT (target range, 130-150 seconds). Analysis for arterio-venous iLA has demonstrated that total ECCO 2 R is possible with a blood flow of 10-15% cardiac output with a gas flow of 5 L/min and an adequate diffusing capacity of the oxygenator. Blood flow depends on the diameter and resistance of cannulae as well as mean arterial pressure (MAP). Although the membrane could act as the perfect oxygenator, oxygen transfer is limited due to the fact that arterial blood is flowing into the oxygenator. Therefore, the main mechanism of the device is CO 2 removal. However, in profound hypoxemia the oxygenation effect becomes more obvious when the inflowing arterial blood is no longer completely oxygenated. Bein et al, reported the largest series on the use of PECLA in 90 patients with ARDS. They placed 159 patients with an age ranging from 7 to 78 years from 1996 on ECLA. The main underlying lung diseases were ARDS (70.4%) and pneumonia (28.3%). ECLA lasted for 0.1 to 33 days, Successful weaning and survival to hospital discharge was achieved in 33.1%. The best outcome was obtained in patients after trauma. They concluded that the best indication for use of PECLA is severe hypercapnia and moderate hypoxia. A significant improvement of oxygenation was notable during PECLA support in all but three patients (98%). As the PECLA is a pumpless device, a cardiac index greater than 3 L/min/m 2 and a MAP of greater than 70 mmHg is considered necessary because an arterio-venous shunt volume of 1.0-2.5 L/min has to be tolerated by the patient's circulation. If these requirements could not be met with or without catecholamine support (epinephrine, norepinephrine) a pump-driven device was used instead. Although these new modalities show promise in the difficult management of ARDS, patient selection is frequently important. But in a deteriorating patient treated with conventional therapy and especially in instances where the ARDS is rapid and potentially reversible particularly in young patients with trauma or the current viral pneumonia with H1N1, these treatment modalities may potentially gain more importance. More studies, however, will be required to reduce complications associated with these therapies. Cost is an important factor. 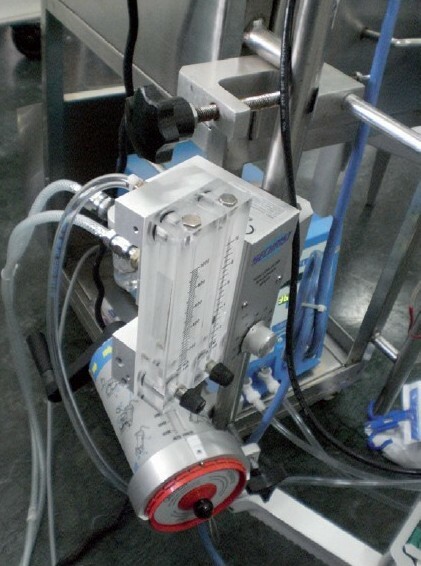 Although ECMO has been proven to be cost-effective, PECLA awaits further studies. 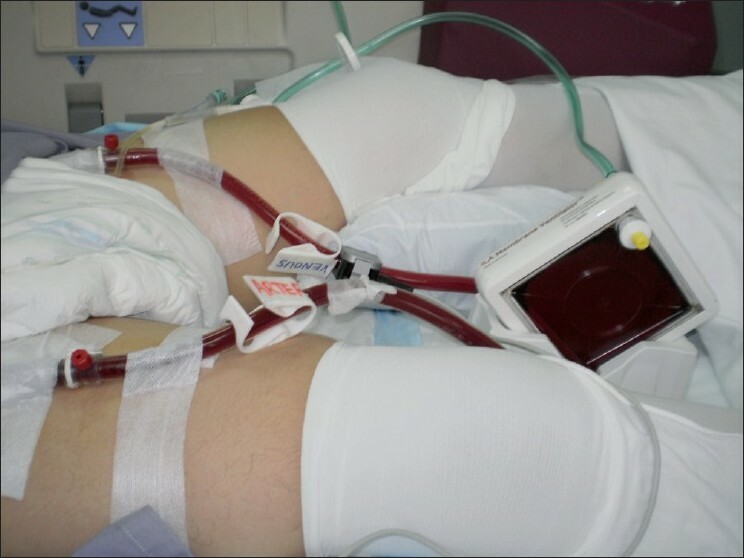 One of the most important limitations when using PECLA or ECMO is the technical complexity and the personnel required to install and maintain the technique at the bedside without causing major complications such as bleeding, clotting and complement activation as a result of mechanical and contact activation. The development of miniaturized systems with improved bioactive and heparin-bound surfaces will certainly help toward the widespread clinical use of extracorporeal support systems. Many case reports and small series have shown the clinical feasibility and physiological benefit of PECLA. But unlike ECMO, bigger clinical studies are necessary to evaluate the advantages, complications and indications as well as contraindications of the PECLA. Over the past few decades, VV PECLA has been an important therapy for the management of severe ARDS. But for now both therapies will probably be seen as rescue therapies for the most severe of ARDS cases due to the highly demanding technical and personnel requirements. 1. Laennec RT. A treatise on the diseases of the chest: In: Forbes, Translator. Which they are described according to their anatomical characters, and their diagnosis established on a new principle by means of acoustic instruments. Birmingham, AL: Classics of Medicine Library; 1979. 2. Respirator Lung Syndrome. Minn Med 1967;50:1693-705. 3. Ashbaugh DG, Bigelow DB, Petty TL, Levine BE. Acute respiratory distress in adults. Lancet 1967;29:319-23. 4. Rotta AT, Kunrath CL, Wiryawan B. Management of the acute respiratory distress syndrome. J. Pediatr (Rio J) 2003;79:S149-60. 5. Luhr OR, Antonsen K, Karlsson M, Aardal S, Thorsteinsson A, Frostell CG, et al. Incidence and mortality after acute respiratory failure and acute respiratory distress syndrome in Sweden, Denmark, and Iceland: The ARF Study Group. Am J Respir Crit Care Med 1999;159:1849-61. 6. Suchyta MR, Clemmer TP, Orme JF Jr, Morris AH, Elliott CG. Increased survival of ARDS patients with severe hypoxemia (ECMO criteria). Chest 1991;99:951-5. 7. Milberg JA, Davis DR, Steinberg KP, Hudson LD. Improved survival of patients with acute respiratory distress syndrome (ARDS): 1983-1993. JAMA 1995;273:306-9. 8. Sugiura M, McCulloch PR, Wren S, Dawson RH, Froese AB. Ventilator pattern influences neutrophil influx and activation inatelectasis-prone rabbit lung. J Appl Physiol 1994;77:1355-65. 9. Morris AH, Wallace CJ, Menlove RL, Clemmer TP, Orme JF Jr, Weaver LK, et al. Randomized clinical trial of pressure-controlled inverse ratio ventilation and extracorporeal CO 2 removal for adult respiratory distress syndrome. Am J Respir Crit Care Med 1994;149:295-305. 10. The Acute Respiratory Distress Syndrome Network: Ventilation with lower tidal volumes as compared with traditional tidal volumes for acute lung injury and the acute respiratory distress syndrome. N Engl J Med 2000;342:1301-8. 11. Kopp R, Dembinski R, Kukhlen R. Role of extracorporeal lung assist in the treatment of acute respiratory failure. Minerva Anestesiol 2006;72:587-95. 12. Hudson L. Report of the NHLBI Trial of Corticosteroids in Late ARDS, as presented at the Annual Meeting of the American Thoracic Society Meeting, Orlando, Fl, May 2004. 13. Amato MB, Barbas CS, Medeiros DM, Magaldi RB, Schettino GP, Lorenzi-Filho G, et al. Effect of a protective-ventilation strategy on mortality in the acute respiratory distress syndrome. N Engl J Med 1998;338:347-54. 14. Brochard L, Roudot-Thoraval F, Roupie E, Delclaux C, Chastre J, Fernandez-Mondejar E, et al. Tidal volume reduction for prevention of ventilator induced lung in acute respiratory distress syndrome: The multi-center trial group on tidal volume reduction in ARDS. Am J Respir Crit Care Med 1998;158:1831-8. 15. Hill JD, O′Brien TG, Murray JJ, Dontigny L, Bramson ML, Osborn JJ, et al. Prolonged extracorporeal oxygenation for acute post-traumatic respiratory failure (shock-lung syndrome). Use of the Bramson membrane lung. N Engl J Med 1972;286:629-34. 16. Bartlett RH, Gazzaniga AB, Fong SW, Jefferies MR, Roohk HV, Haiduc N. Extracorporeal membrane oxygenator support for cardiopulmonary failure: Experience in 28 cases. J Thorac Cardiovasc Surg 1977;73:375-86. 17. Zapol WM, Snider MT, Hill JD, Fallat RJ, Bartlett RH, Edmunds LH, et al. Extracorporeal membrane oxygenation in severe acute respiratory failure: A randomized prospective study. JAMA 1979;242:2193-6. 18. Gattinoni L, Kolobow T, Tomlinson T, Iapichino G, Samaja M, White D, et al. Low-frequency positive pressure ventilation with extracorporeal carbon dioxide removal (LFPPV-ECCO2R): An experimental study. Anesth Analg 1978;57:470-7. 19. Lewandowski K, Rossaint R, Pappert D, Gerlach H, Slama KJ, Weidemann H, et al. High survival rate in 122 ARDS patients managed according to a clinical algorithm including extracorporeal membrane oxygenation. Intensive Care Med 1997;23:819-35. 20. Hemmila MR, Rowe SA, Boules TN, Miskulin J, McGillicuddy JW, Schuerer DJ, et al. Extracorporeal life support for severe acute respiratory distress syndrome in adults. Ann Surg 2004;240:595-605. 21. Peek GJ, Moore HM, Moore N, Sosnowski AW, Firmin RK. Extracorporeal membrane oxygenation for adult respiratory failure. Chest 1997;112:759-64. 22. CESAR Trial Group, Conventional Ventilation or ECMO for Severe Adult Respiratory Failure - CESAR Trial. Available from: www.cesar-trial.org [last accessed on 2005]. 23. Moran JL, Bersten AD, Solomon PJ. Meta-analysis of controlled trials of ventilator therapy in acute lung injury and acute respiratory distress syndrome: an alternative perspective. Intensive Care Med 2005;31:227-35. 24. Philipp A, Behr R, Reng M. Pumpless extracorporeal lung assist. J Extra Corpor Technol 1998. p. 30. 25. Liebold A, Philipp A, Kaiser M, Merk J, Schmid FX, Birnbaum DE. et al. Pumpless extracorporeal lung assist using an arterio-venous shunt: Applications and limitations. Minerva Anestesiol 2002;68:387-91. 26. Ventilation with lower tidal volumes as compared with traditional tidal volumes for acute lung injury and the acute respiratory distress syndrome: The Acute Respiratory Distress Syndrome Network. N Engl J Med 2000;342:1301-8. 27. Bein T, Scherer MN, Philipp A, Weber F, Woertgen C. Pumpless extracorporeal lung assist (pECLA) in patients with acute respiratory distress syndrome and severe brain injury. J Trauma 2005;58:1294-7. 28. Zick G, Frerichs I, Schädler D, Schmitz G, Pulletz S, Cavus E, et al. Oxygenation effect of interventional lung assist in a lavage model of acute lung injury: A prospective experimental study. Crit Care 2006;10:R56. 29. 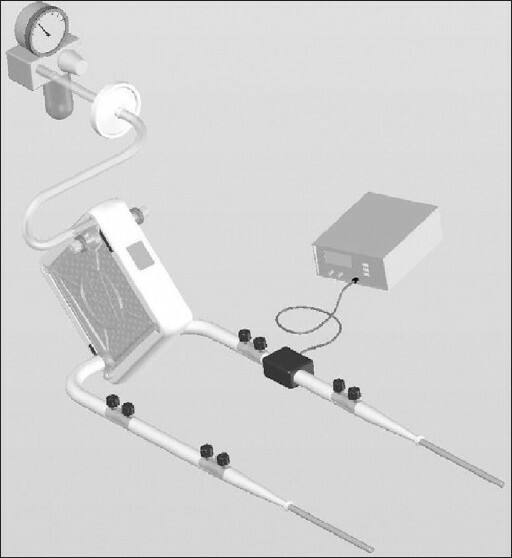 Zimmermann M, Philipp A, Schmid FX, Dorlac W, Arlt M, Bein T. From Baghdad to Germany: Use of a new pumpless extracorporeal lung assist system in two severely injured US soldiers, ASAIO J 2007;53:e4-6. Turner, D.A. and Cheifetz, I.M. Rehder, K.J. and Turner, D.A. and Bonadonna, D. and Walczak, R.J. and Rudder, R.J. and Cheifetz, I.M.